It is with sadness that we share that prolific military fiction author William E. Butterworth III, known the world over as W.E.B. Griffin, died on Tuesday, February 12. He was 89. William E. Butterworth III was the #1 bestselling author of over 250 books, the majority of them published by G. P. Putnam’s Sons, with over 50 million copies in print in more than ten languages, including Hebrew, Chinese, Japanese, and Hungarian. As W.E.B. 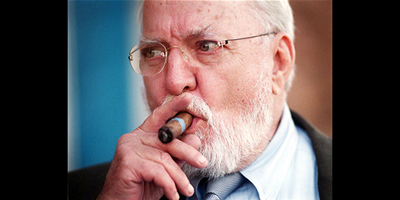 Griffin, he was the author of 61 epic novels in seven series: The Corps, Brotherhood of War, Badge of Honor, Men at War, Honor Bound, Presidential Agent, and Clandestine Operations. Known for his historical accuracy, richly drawn characters, thrilling adventure, crackling wit, and astute aptitude for the heart and mind of a military hero, Griffin delighted readers for decades with his electrifying novels about the military, police, spies, and counterspies. Under other pseudonyms, he wrote over 100 other books, both for adults and children, including twelve of the thirteen M*A*S*H novels. He has been praised as “a writer of true virtuosity and talent” (Fort Worth Star-Telegram), “a truly impressive storyteller” (Midwest Book Review), and “unrivaled” in the realm of military fiction (Ralph Peters, author of Cain at Gettysburg and Lines of Fire). “If God is truly in the details, then Griffin must be the pop of police procedurals,” wrote Publishers Weekly. As The Philadelphia Inquirer put it simply, “Griffin has the knack.” His passion for writing about the military and other branches of law enforcement carried him through his distinguished career. “Nothing honors me more than a serviceman, veteran, or cop telling me he enjoys reading my books,” he said. W.E.B. Griffin grew up in the suburbs of New York City and Philadelphia. He began an illustrious military career in 1946, when he enlisted in the United States Army. After basic training, he received counterintelligence training at Fort Holabird, Maryland. He was assigned to the Army of Occupation in Germany and ultimately to the staff of then-Major General I.D. White, Commander of the U.S. Constabulary. In 1951, Griffin was recalled to active duty for the Korean War, interrupting his education at the Philipps University of Marburg an der Lahn, Germany. Among his many awards for service, Griffin was the recipient of the 1991 Brigadier General Robert L. Dening Memorial Distinguished Service Award of the U.S. Marine Corps and the 1999 Veterans of Foreign Wars News Media Award, which was presented at the 100th National Convention in Kansas City. He has been vested into the Order of St. George of the U.S. Armor Association and the Order of St. Andrew of the U.S. Army Aviation Association. A longtime resident of both Alabama’s Gulf Coast and Buenos Aires, Argentina, Griffin is survived by his four children, including son Bill Butterworth IV, his co-writer on 21 novels. To highlight some great moments and voices during Black History Month, we’re teaming up with StoryCorps. If you’re not already familiar, StoryCorps is a wonderful organization focused on capturing the wisdom of humanity through interviews and stories in order to create a more just and compassionate world. Learn more about their mission, history, and impact here. In this video, Theresa Burroughs recalls her persistence to claim her right to vote during the Jim Crow era in the rural South. Inspired to learn more? 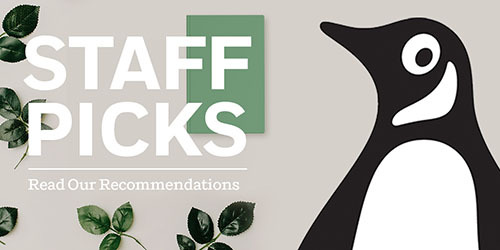 We’ve got themed lists to help you find your next read – from fresh new authors, to canonical greats.